If you live in Washington there are frequent jokes about things moving at the pace of government. Another adage is that to the extent things do change, there’s a good chance they’re changing back to the way they were done in years prior (government doesn’t so much reinvent itself as it merely resurrects itself). The Department of Defense is pursuing this logic as it pushes through a plan to take over background investigations from the beleaguered National Background Investigations Bureau. If you have a really long memory, you may recall the Defense Department did used to run its own background investigations, and at the time, it was accused of being inefficient, unmodern and far too slow. To help the government innovate and introduce efficiencies, background investigations were transferred over to the Office of Personnel Management, which largely outsourced the work to several contracting firms. OPM controlled more than 95 percent of all background investigations conducted across government. More than 15 years after it started passing off its investigation capabilities, the Defense Security Service is now arguing it should regain control of conducting its own investigations. In Congressional testimony, DSS representatives argue that everything the National Background Investigations Bureau does, it can do better—but it’s not offering many specifics as to why that would be the case. An initial Request for Information and plans released thus far suggest that DSS intends to model itself after NBIB. “Initially, it really doesn’t have much of a choice,” notes William Henderson, personnel security consultant and co-founder of the Federal Clearance Assistance Service. It’s clear DSS wants the investigation mission back. And it will get it if Congress moves forward with provisions in the National Defense Authorization Act. The 2017 NDAA required DSS to create a plan to take over investigations. This fall, Defense Secretary James Mattis signed off on a three-year phased plan to transfer new background investigations over to DSS. The movement in Congress seems to confirm and codify that plan. But it’s not a done deal yet. Meadows pushed back during congressional testimony, asking Gary Reid, Director of Defense Intelligence in the Office of the Under Secretary of Defense for Intelligence, several questions related to how, specifically, DOD could do things better than OPM. Reid struggled to offer specifics, reiterating multiple times that DOD has ‘confidence’ in its systems. Language in the Senate version of the 2018 NDAA already gave Defense permission to take over new investigations, and it appears the House is poised to concur with that recommendation. What matters to everyone is the quality and efficiency of the process, not who is doing the investigations. With any major change in policy there are potentially significant challenges. Here are a few things to consider as DSS looks to take over the investigations process. 1. It could be robbing Peter to pay Paul. The Request for Information the DOD released seeking contractor support for its new background investigation mission was far from innovative. In fact, it’s highly likely they obtained information from only the existing prime and subcontractors working for the NBIB today. If Defense plans to hire its background investigators from the existing key players, it will probably only create turnover and churn in the workforce, or result in new, inexperienced investigators. Competition is generally good, and if this competition were to result in background investigators finally receiving a long overdue pay raise and making a living wage, I would be on board. But in the short term, Defense’s use of the same contract firms as NBIB is likely to create a market shortage that could crash the system. 2. Technology can’t replace people. The Defense plan relies heavily on automation. There are serious issues with background investigators being replaced with technology. So far, the department has been incredibly cryptic about what providers it is using for its Continuous Evaluation (CE) program. Before I can get on board with automating a Secret security clearance investigation, I would like to know what the CE program looks like. I don’t need Uncle Sam to lift up his skirt and show me the classified details, but we need some assurances this program is gathering the right information, at the right time, through the right vendors. As of now, I haven’t even been able to get information on what vendors are running the CE program, and whether or not they’re protecting security clearance holders’ data adequately. 3. Industry isn’t on board. No one is hurt by the current security clearance delays more than industry. The government can and does expedite clearances for its own workers. Government contractors automatically fall to the bottom of the pile. You would think this cadre would be petitioning congress for a DOD takeover. They aren’t. Industry organizations are largely mum, or are arguing to give NBIB more time to see what it can do. In congressional testimony, Trey Hodgkins, Senior Vice President of the IT Alliance for the Public Sector, said he had serious concerns that the Defense plan fails to account for any detrimental effects that could result. “As we move to reform the process, industry remains agnostic as to who “owns” the security clearance process; we are, however, resolute that any bifurcation to the process would only cause greater wait times, inefficiencies, waste taxpayer dollars, potentially create greater vulnerabilities, and undermine achieving a truly reformed clearance process,” Hodgkins wrote in his prepared remarks. I’ll throw in a bonus point of concern: I’m still trying to wrap my head around why DSS Director Dan Payne referred to his cleared workforce as full of pedophiles and murderers. He has been an open critic of the interim security clearance process. If you think the security clearance process is broken now, wait until you stop issuing interim security clearances. I believe Payne’s remarks were meant to draw attention to how broken the system is under NBIB. But DSS, like all government agencies, maintains the right to adjudicate—and remove—security clearances for its own workers. If that system is broken, it’s something DSS should fix today, not in the next NDAA. 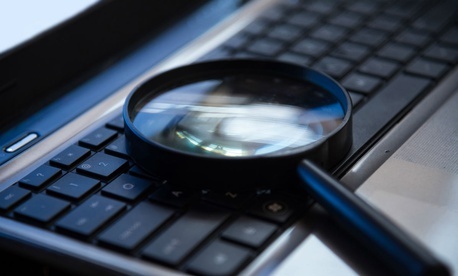 Defense is clearly fully capable of conducting a high-quality background investigations program. The question should be less about whether or not it’s suited for this capability than about how it could do so while making significant, policy driven improvements in personnel and national security. Until that plan is issued, it’s impossible to say what is in the best interests of current clearance applicants, other than don’t hold your breath waiting for a shorter clearance processing timeline.